This is the Self esteem and third chakra boosting strengthener. Key words are; Self honesty, ability to pull out of the 'pack mind', Independence, Keeping the promises we make to ourselves, Taking action through intent, amassing courage. 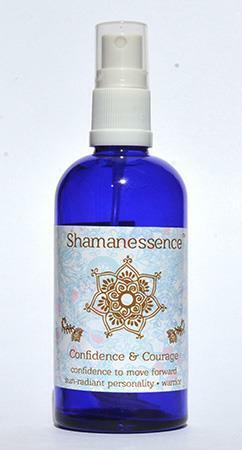 Scented with healing essential oils of lemongrass, patchouli, cardamom, black pepper and hint of violets. Ingredients: Flower Essences: Nymphenburg, Honeysuckle, Scleranthus, Willow, Mariposa Lilly, Waratah, Wild Ginger, Sweet Alyssum. Essential Oils: Rosewood, Lemongrass, Patchouli, Cardamon, Black Pepper, Violet. Blessed structured water, Grapefruit seed extract and Love! Shake well to reactivate healing frequencies! Spray overhead above and around auric field, and especially around the front and back of the diaphragm area (solar plexus). Use 2 - 5 times a day for full benefits.